Double-is: Why linguists think we sometimes double up on is in a setup, payoff style sentence. 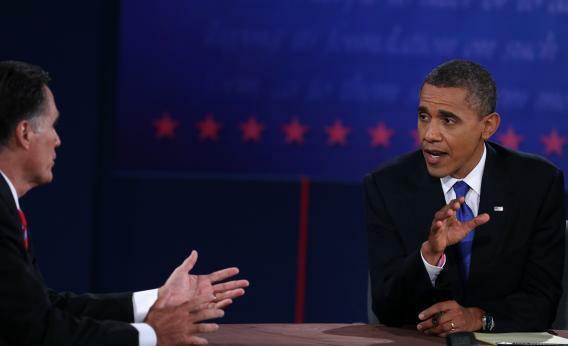 U.S. President Barack Obama debates with Republican presidential candidate Mitt Romney in 2012. The truth of the matter is is that … The fact of the matter is is that … What the American people understand is is that … During the 2012 presidential debates, language mavens were all over President Obama’s extra is, his consistent repetition of a verb that seemed to serve no grammatical purpose. To be fair, this odd formulation has no political affiliation, since George W. Bush also used it: The other lesson is is that … What did happen is is that … But when a particularly prescriptivist friend called me out on my own double-is-ing, I wondered if it might serve a purpose. As it turns out, linguists have been making the case for double-is for decades. The first is from Obama during a presidential debate, the second from a speech Bush II gave to the National Federation of Independent Businesses, and the third from me during a late-night dinner at Jacob’s Pickles on 85th and Amsterdam in New York, but all adhere to the same basic structure. A set-up: The thing is. Followed by a pay-off: the pickle selection on this menu is staggering. The head-scratcher, of course, is the extra is, usually bound to a that, that insinuates itself between the setup and the payoff. So just what is this construction? Most linguists call this doubled is ISIS, although it also appears in the literature as “Double-is,” “Extra-is,” “Double-be,” and—should you prefer—the “Nonstandard Reduplicative Copula.” And while linguists aren’t yet in agreement about what need ISIS fills, or exactly how to classify it among the already Borgesian taxonomy of linguistic categories and subcategories, they have been tracking it for nearly 30 years and developing a number of theories, some of which make intuitive sense to me. First off, let’s establish what ISIS is not. Surely, every once in a while you hear a sentence like this: What it is is a sour pickle. This is not a case of ISIS. Why? Because the double is in this sentence follows standard rules of syntax. What it is is (as it were) the subject of the sentence. Subjects need verbs; in this case, that verb happens to be is. But utter What I mean is is that we like pickled beets, and suddenly the normal rules of syntax are out the window. In the ISIS sentence, What I mean is the subject. It, too, needs a verb, which may very well be is. But it doesn’t need two ises any more than it needs two of any other verb. According to standard rules of syntax, that is. So how do we know that ISIS isn’t just a speech error, the kind of fumble that occurs when we’re not quite sure what we want to say next? What makes the extra is in a sentence like What I mean is is that we like pickled beets less likely to be a repetition of the type in a sentence like The sky is is blue? (Note that, while both sentences contain a doubled is, the first sentence follows the setup/payoff structure, while the latter doesn’t.) According to linguists who have spent hours listening to recorded speech, a doubled is within a setup/payoff structure does not usually follow the same rhythm as a doubled is that is merely a fumble. When an extra is shows up in a sentence like The sky is blue, there’s a distinct pause between the first and second is; you can almost hear the speaker reaching for the right word. It’s called a “speech disfluency”; the flow of speech is momentarily interrupted. In a typical setup/payoff sentence, however, there is no such pause with an extra is. Such sentences tend to flow smoothly. And, according to a number of linguists, it’s the very addition of that extra is that makes them flow. Think about how this sentence might sound when spoken: The thing is we are all out of pickles. If the speaker places a definite stress on is, the rest of the sentence is likely to be followed by a pause, no? Linguists like Patrick McConvell, at Australian National University, and Laura Michaelis-Cummings, at the University of Colorado, have found that the stressed is, coupled with the break immediately after, sounds awkward to speakers’ ears, since it’s unlike the general patterns that stresses and pauses typically follow in English. And so ISIS, says Michaelis-Cummings, likely arose long ago as “a workaround” that allows speakers to avoid that bit of halting awkwardness. In fact, Michaelis-Cummings suspects that conversational grammar may have always been peppered with ISIS. It’s just that we pay far greater attention to the way we talk nowadays, in part because of a creeping shift to a looser, more conversational grammar as our model. Of course, any nonstandard usage carries social stigma, and many will cringe at the sound of two ises or even make it their business to “correct” you. But the thing is is that nobody likes a grammar scold.